ALLENTOWN, Pa. – What a difference a year can make. Last summer under blue skies amongst the lush green space of scenic Cedar Creek Park, a trio of ensembles brought the magic of SoundSport to an up-close audience as part of the inaugural showcase event hosted as part of the DCI Eastern Classic in Allentown, Pennsylvania. 2018 ended up being a much different story, but produced a similarly entertaining result. Extensive flooding throughout the park space caused by torrential downpours Friday night, caused a last-minute relocation of the event to within the confines of J. Birney Crum Stadium. But that’s one of the beauties of Drum Corps International’s SoundSport program. Teams performing on a 30- by 20-yard stage can essentially take their five- to seven-minute productions anywhere, whether it’s a park, a football stadium, or any number of other indoor or outdoor venues. 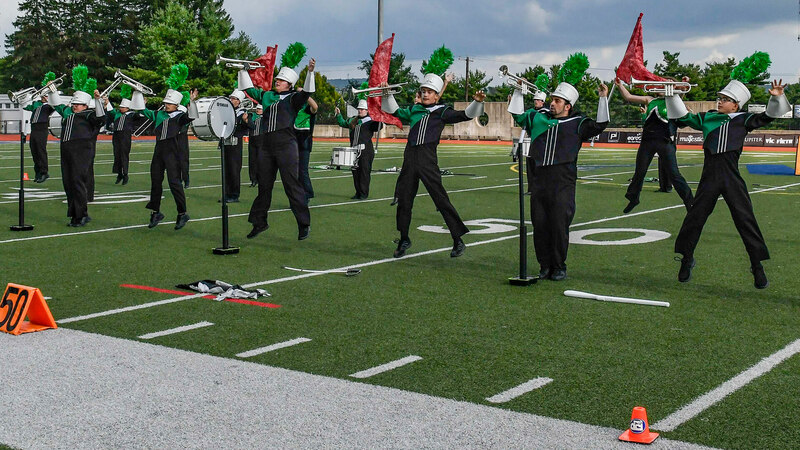 Despite the last-minute change in location, the three teams slated to perform on Saturday kicked off the second night of the DCI Eastern Classic with gusto. Earning a silver rating was Central New Jersey’s Encorps. 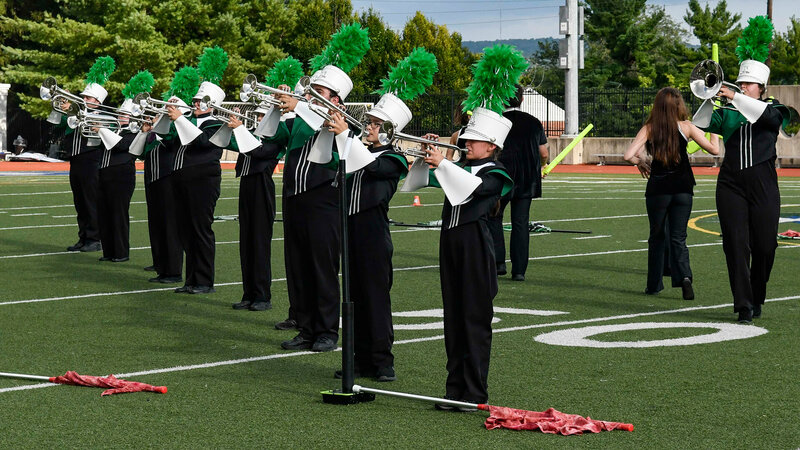 Brand new to the SoundSport stage, the team based out of central New Jersey has future aspirations of becoming a full-fledged drum corps. “We started from nothing and built up to 80 members in seven months,” director Pat Petrillo said. “The kids had a blast being here in Allentown." Petrillo, who is a former member of the Bridgemen and Cadets, says that having the opportunity to bring his group to Allentown has a special place in his heart. Bringing their international flair to the SoundSport stage from Canada, Les Titans de Quebec performed an engaging program of popular tunes including “Party Rock Anthem” by LMFAO, “Get Lucky” by Daft Punk and “Fireball” by Pitbull. 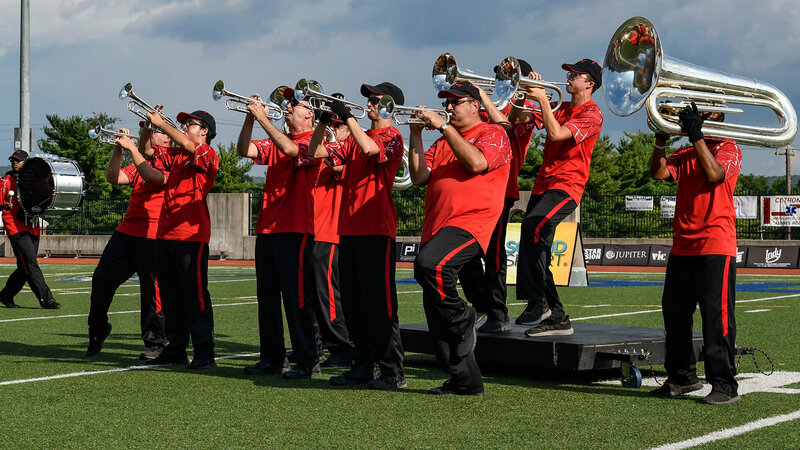 Goulet has high hopes for her team as it makes a return trip to Indianapolis this coming week for the SoundSport International Music & Food Festival at the DCI World Championships. “We hope to do an even better performance than last year and hope to bring back to Quebec City a gold medal,” she said. 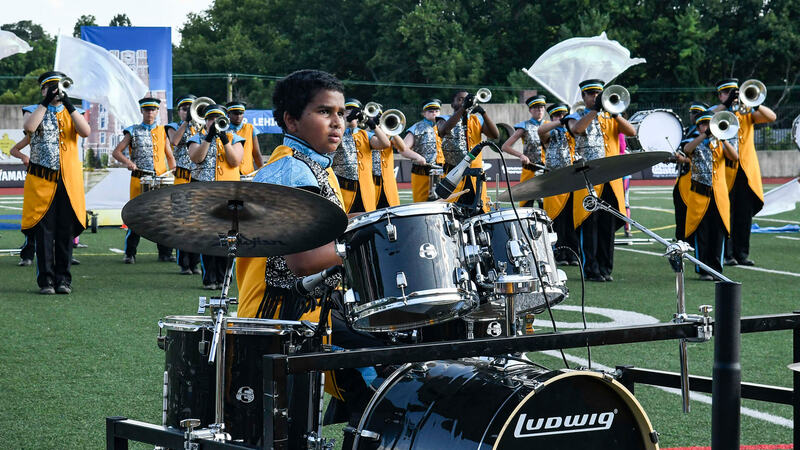 Woodbridge, Virginia’s Sonus Brass Theater, a well-traveled SoundSport team that spent last weekend in Atlanta at the DCI Southeastern Championship, also earned a silver rating in Allentown along with Saturday night’s Best of Show honors. Like Les Titans de Quebec, just one week from now Sonus will head to Indianapolis to take the stage as part of the final day of World Championships Week. Having earned a silver rating at last season’s Indianapolis event, Sonus Brass Theater is looking forward to a return trip to the Circle City.